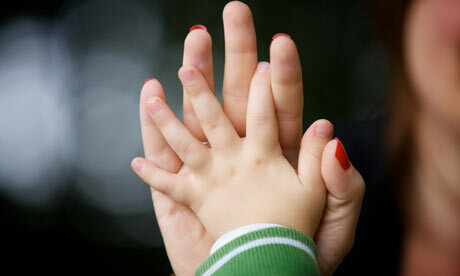 National statistics of the UK show over 2.0 million homes are Single Parents with dependent children. In 2011 women accounted for 92% of lone parents with dependent children 8% were Men. After my separation and divorce I categorised myself as a mum who lived alone with her child. I did all the normal things that were expected, you know, check out all the schemes I would be entitled to, looked at any benefits that were open to me, I had long meaningful chats with other ‘S parents’ whom had trodden the lonely road years before, they were able to give me advice and so on. I gleaned information off the internet, I shouted at the tv when another cut was made by the government regarding Children Services I mean, I did it ALL. You see I wanted EVERYTHING but didn’t want the label, I didn’t want to be known as a Single Parent, I didn’t even want to utter the word so for a while I regarded myself as a ‘S parent’. I categorised Single parents in the below format. All the above (in my mind) was not me, I mean I was MARRIED and therefore did it ‘Right’ by the church and in societies eyes. I maintained in my mind that at under no circumstances I would be described as a ‘S Parent’. In conversation with other ‘S parents’ they would use the term ‘Us single parents’ like it was a team or it was some sort of elite status, for me it wasn’t anything to be proud of and I definitely did not ask for that kind of status. Whenever I heard the S word it was surrounded with turmoil, heartache, and struggle. I was far better than that!, or was I ? I mean was I really? I refused to see the positives of being a ‘S parent’ until I finally woke up and realised my important role. I cannot deny alot of my feelings came from guilt, I was afraid my son would grow up damaged by only having one live in parent I felt I had failed him. However it became more and more apparent that my son was happy, happy with his little life, his toys, his friends, family on both side and me as his mum. I gained confidence as a ‘S Mum’ I spoke with people about my thoughts, I took solace in other ‘S Mums’ whom had trodden the path I was on and had brought up beautiful, intelligent children into adulthood. By speaking to these women I realised the strength it takes to get up and deal with children by yourself. Some had support of the father, others didnt. I was in awe of these women whom wore their Single Mother/Parent status with PRIDE. The other day whilst in conversation I described myself as a Single Mum, to the person I spoke with it meant nothing, to me in meant EVERYTHING. 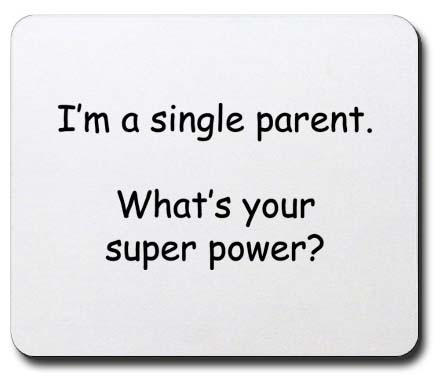 How do you feel about being a single parent if you are? Are you a child of a single parent family? How has it defined you? If the father of the child(ren) is present in their lives, helps the mother to support the family financially and emotionally then that woman is not a single parent, she is a single woman with children. The negatives about being a single woman with children or a single parent are perpetuated through the media. As you have found out, unfortunately, women do not always put themselves in this position. My parents relationship ended when I was a baby, however my father has had a constant presence throughout my life. My mother worked and gained her degree all whilst looking after to me, and although my dad’s financial contribution was somewhat lacking, my mother made sure I had a private tuition in English, Maths, French, Piano, Ballet and Tap dance. Not all single women with children are loud mouths, on benefits, having child after child or as some people like to think “got pregnant for a council house”. Relationships break down whether you are married or not, admittedly it seems more likely to happen with our generation, but it’s nothing to be ashamed of. As long as you both are doing the best for your child as a parent, then that’s what should count. There are many people like me that have grown up with just their mothers in the home and do not follow the stereotypes of being a disfunctional child/adult that’s a menace to society. If anything, seeing my mother work so hard, made me want to achieve good things to make her proud. I have a good career, never been in trouble with the police, and I occasionally go to church. I have many friends that have the same background as me and have done exceptionally well for themselves, and your child will be one of them, just think positive and be a good parent. Thank you Simone for your supportive comments!Your experiences are uplifting and a blessing, thank you for sharing. Although society has changed and we are now embracing different family dynamics, there is still a view that the two parent family is the norm. It was almost as if I went into a default setting and started thinking and feeling that my son should be brought up with two parents. It’s only now that I look back I am able to see how I had been influenced by negative stereotypes and so on. I’m constantly striving to be a better mother for my child and with God’s grace my son should know no different. Previous PostPrevious Like a fine wine..